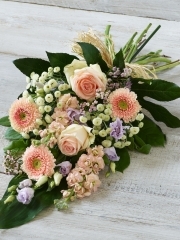 If you’re looking for some get well soon flowers, then you have come to the right place as Aberdeen flowers have a beautiful selection of floral arrangements which are sure to cheer up anyone. All the flowers the florists in Aberdeen work with are of the best quality as they are cultivated and imported from Holland. Holland is the western region of the Netherlands which has gained critical acclaim for producing some of the finest flowers in the world meaning that the quality of flowers the Aberdeen florists work with are also nothing short of perfection. Not only that, but the Aberdeen flowers shop receives several flower deliveries per week so you can also be sure that the flowers are always fresh. The freshness and quality of the flowers, of course, impacts how beautiful your bouquet or arrangement will look so you can be rest assured that your flowers will always be beautiful. 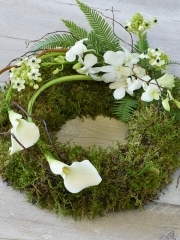 You are able to browse through all the different floral categories online as it is very important to be able to cater to any and all occasions as no flower order is the same. The get well soon range is lovely as it is fitting for any sort of get well soon occasion from a stay in hospital to a loved one catching a cold and everything else in between. 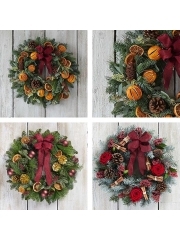 Not only are there beautiful flowers available but there are several thoughtful get well gives on offer which you are also able to browse. No matter what it is you’re after, the team at Aberdeen flowers want nothing more other than to provide you with the best possible service. This is why, once your order has been placed, you need not worry about a single thing as everything will be taken care of for you on your behalf. As part of the get well gifts range, there are items such as balloons, teddy bears and fruit baskets. The Aberdeen florists arrange fresh fruit baskets of varying sizes on the day of the delivery so you can be sure the fruits will be fresh for your recipient. When it comes to the balloons, you are able to order either one balloon on it’s own or, if requested, the florists are able to arrange a charming balloon bouquet. The balloon bouquets are typically composed of three blank balloons and three with a fitting message for your specific occasion such as ‘Get Well Soon’ in this instance. This gifts range is great as sometimes, certain wards of hospitals do not accept flowers so if that’s the case, you can send a nutritious fruit basket and a balloon or a teddy bear to your loved one to show them that you are stilling thinking of them. 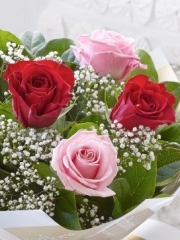 Once your order has been placed, all customers have the choice to use the delivery services provided by Aberdeen flowers. 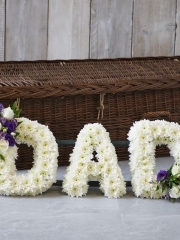 There are three primary delivery options on offer which are the standard, same day and next day flower deliveries. All delivery options are available six days a week, Monday through to Saturday, between the times of 9:00AM and 5:30PM. Each delivery option caters to different individuals so, for example, if a loved one has had a long stay at a hospital, you are able to use the standard delivery service and place your order as early as you like. 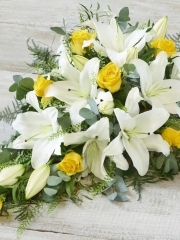 However, if someone has had a sudden accident and you wish to send them some flowers the same and next day flower delivery services are ideal for you. For any further information, please do not hesitate to get in touch as there is always someone more than happy to help you.